Vigorous Centifolia shrub rose of lax open habit. Thorny stems and broad dark green leaves. 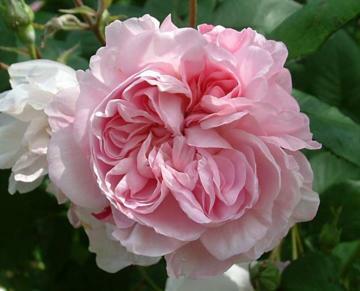 Fully double, cupped to flat, fragrant, light pink flowers about 10cm across, with a green button eye, produced in summer.